Been a fan of IT Cosmetics CC cream and other base makeup products from the brand, and not to forget the makeup brushes, which I have collected almost over 20 in the last few years, the brand and range of products has always amazed me. 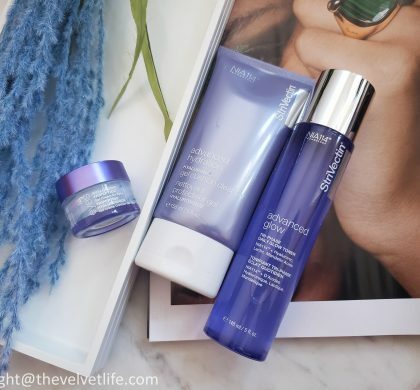 The products I am going to discuss in this post are my first indulgence into the skincare from the brand. 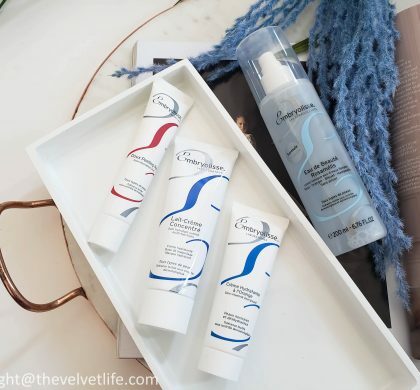 The products are developed with plastic surgeons and are clinically tested, innovative, problem-solving using the latest technologies and high-performance formulas. 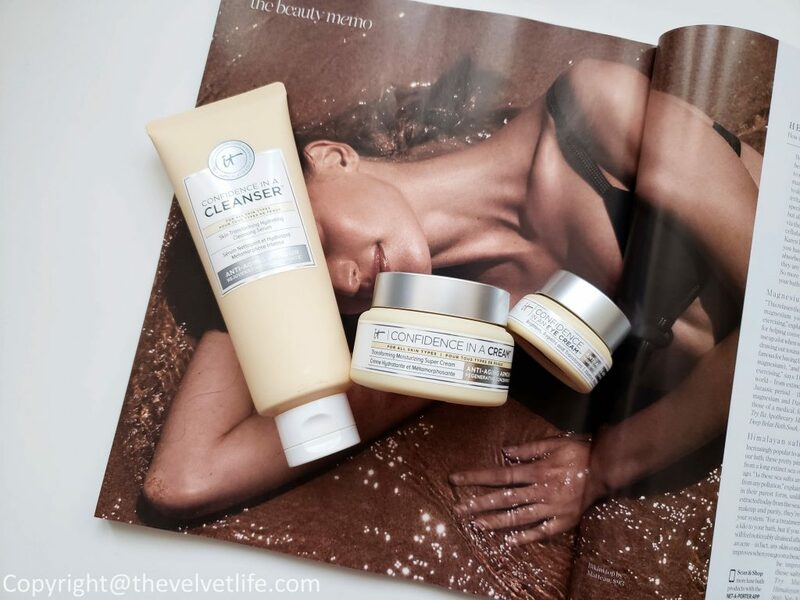 I have more details on the IT Cosmetics Confidence range which includes Confidence in a Cleanser, Confidence in an Eye Cream, and Confidence in a Cream below which is part of the series of skincare products which I have been using and are on rotation since the last few months. Confidence in a Cleanser is described as a skin-transforming hydrating cleansing serum in one-step skincare solution that gently cleanses and moisturizes while leaving the skin feeling soft, refreshed, and perfectly balanced. It is ideal for all skin types and is even ophthalmologist-tested for the sensitive eye area. The cleanser is sulfate-free and soap-free, removes makeup, even the waterproof eye makeup. The cleanser features proprietary Anti-aging Armour Rejuvenating Concentrate, plus other high-performance ingredients to help with cleansing as well as skin care benefits. I have combination skin and this cleanser has worked really well for it although it is suitable for all skin types even the oilier ones. It cleans the skin and at the same time provides a soothing and relaxing feel to the skin. It is hydrating to the extent that it does not breaks me out, my skin feels clean, comfortable, and fresh. I use it as my first cleanse in the morning or second cleanse in the evening. A little is enough for one time use, the texture is creamy and it washes off pretty well without giving any feeling of residue on the skin. Confidence in an Eye Cream is a best-selling eye cream from the brand as is described to provide the skin-loving benefits as well as perfect to transform the entire eye area to its better self. It is suitable for all skin types, even the most sensitive ones. The moisturizing eye cream features an exclusive apricot tint that color-corrects and brightens the look instantly for more wide-awake eyes. It is created with proprietary Anti-Aging Armour Rejuvenating Concentrate, Drops of Light Technology, a super ceramide complex, chrysin, licorice root, avocado, squalane, and other high-performance ingredients, and works to hydrate, smooth, and refresh – improving the look of firmness and reducing the appearance of puffiness, dark circles, lines, and wrinkles. It is a really nice addition to my eye creams. I am really liking how moisturizing and brightening it is. I do agree with the claims mentioned above, my eye area feels fresh, smooth, and is well hydrated with this eye cream. It does not cause any issues with my sensitive eyes. My eye area is brighter and during the day, I have no issues with applying makeup over it. 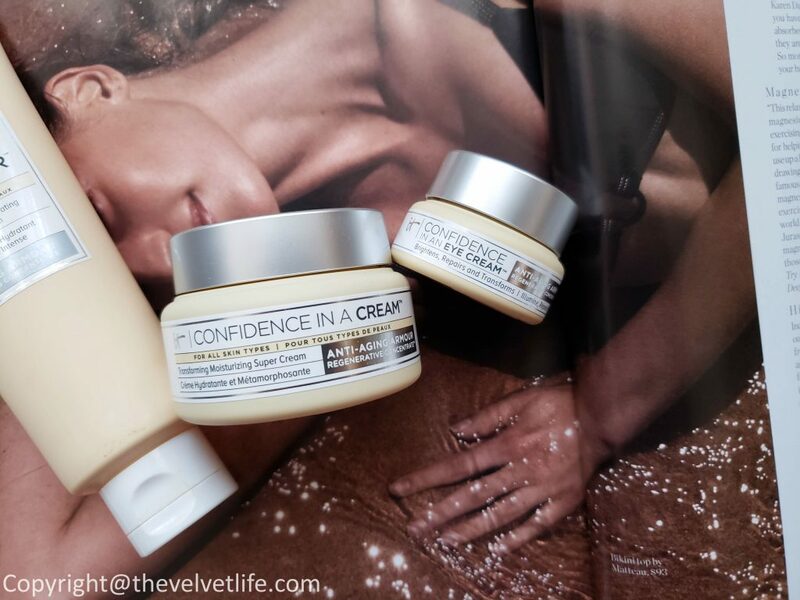 Confidence in a Cream is described as a super moisturizing, quick-absorbing formula that transforms the skin with each application by boosting the skin’s natural regenerative cycle for a supple, healthier, younger-looking appearance. The proprietary Anti-Agin Armour Regenerative Concentrate is activated upon contact to immerse the skin in moisture and reduce the look of pores, discoloration, lines, and wrinkles. It also includes an exclusive concentrate that combines collagen and hyaluronic acid to plump fine lines and wrinkles, while niacin, peptides, a super ceramide complex and other active ingredients smooth texture, intensely hydrate and enhance firmness. It is a nice moisturizer which is moisturizing as well as provides some nice skincare benefits, the ingredients are the ones I am very impressed with. It works well with my combination skin type, but I would say I prefer is both times during all seasons except summer and in summer, I like it in my nightly skincare routine. It makes my skin smooth, even, and healthier looking. It absorbs quickly into the skin without leaving any residue and also is a great base for makeup. 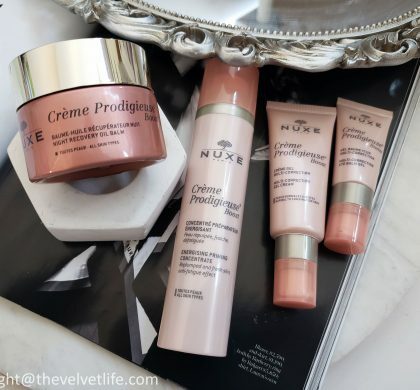 As much as I am a fan of the makeup products from the brand, these three products have raised my bar high for the next product I will try from them. I would recommend you to check these out if you are looking for something that starts working instantly and gives you benefits for the long run. 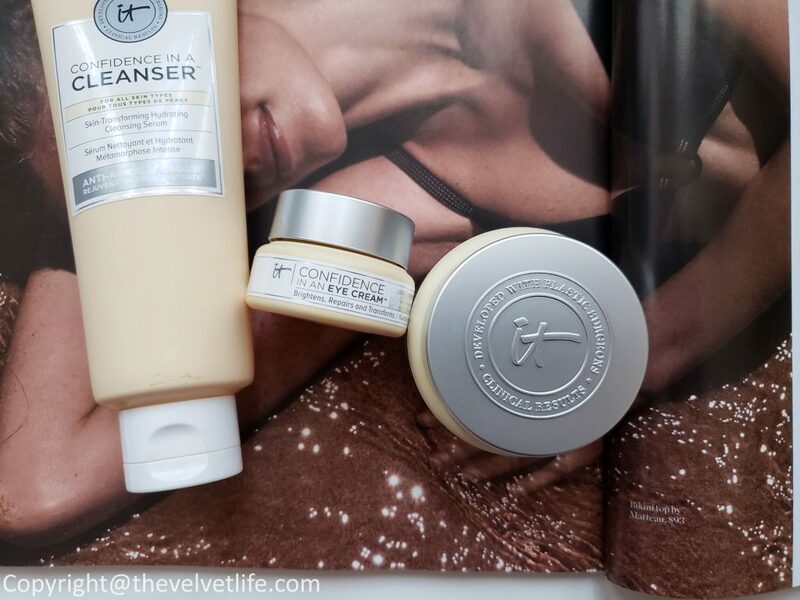 IT Cosmetics Confidence in a Cleanser, Confidence in an Eye Cream, and Confidence in a Cream are available at ITCosmetics.ca and Sephora Canada.